Objective: To provide a detailed report on one case of a 67 year-old female with Parkinson’s disease under upper cervical chiropractic care. Clinical Features: A 67 year-old female patient presenting to a private practice with an atlas subluxation complex as well as signs and symptoms of Parkinson’s disease that include weakness, tremors, scoliosis and rigidity. Intervention and Outcomes: Over a period of 6 months, the patient was seen 19 times and was adjusted 12 times following the NUCCA protocol. Improvements in radiographic measurements, paraspinal thermography, and sEMG were recorded. Patient self-reported improvements in weakness, tremors, rigidity, and overall mobility. Conclusion: The upper cervical subluxation may be a contributing factor to the symptomatic expression of Parkinson’s disease. Reduction of the subluxation with specific vectored correction may be a plausible, safe, and effective approach for managing PD. More research is warranted investigating the effects of upper cervical care and Parkinson’s Disease (PD). 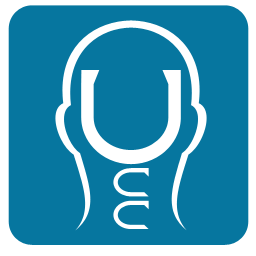 Editor's Note: Remember that upper cervical care is not a treatment for Parkinson's Disease. An individual with Parkinson's Disease will benefit from a good nerve supply free of interference due to head/neck misalignment (the objective of upper cervical care). Sometimes that improved function better enables the body to heal itself as is evident in this case of a woman with Parkinson's Disease. It is great the conclusion said that the Upper Cervical Subluxation may be the contributing factor. It is known that head and neck trauma are risk factors. In this study, I wonder if correcting the upper cervical atlas complex towards orthogonal is what produces the results. If so, then any UC procedure that does orthogonal procedures would be just as effective. The procedures that perform orthogonal corrections to the upper cervical complex are Atlas Orthogonal,NUCCA Grostic, Laney, and Orthospinology.